Did you know that the food you eat at the negotiating table could affect how collaborative you are? 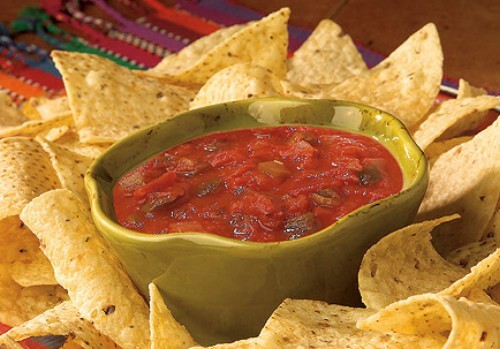 Recent research has found that ate food that needed to be shared such as chips and salsa were more cooperative and collaborative in certain circumstances than people who ate food that was served in individual servings. Researchers at Stanford Graduate School of Business, professor Margaret Neale and doctoral student Peter Belmi found that the type of benefit you can get from negotiations conducted while eating or in the presence of food depends on the type of bargaining situation — cooperative bargaining versus competitive bargaining– and the way the food is served. Negotiators were asked to negotiate in a competitive or cooperative negotiation and were given food — apple slices or chips and salsa. The researchers found that the negotiators that were in a competitive negotiation while sharing food found more combined value in the negotiations than when they ate food that didn’t require sharing. On the otherhand, negotiators in a cooperative negotiation didn’t gain any benefit from the shared food. The results suggest that when you are dealing with a particularly competitive negotiator, looking to break an impasse, or dealing with conflict, it might be a good time to pass some appetizers or visit a restaurant where it’s common to share dishes – Spanish tapas, Ethiopian food, or Asian cuisines might be good choices. But in negotiations with someone you know well, you might pass on eating entirely or at least order your own food. Although the advice from Harvard sounds good, it is difficult to envision how two warring parties in mediation in a competitive zero sum game somehow can get together to share bread. Often, the parties don’t want to be in the same room, and many don’t want to share bread. What ,however, might work is where the lawyers engage in that sharing process some time before the mediation date. Often, the lawyers who engage in those “restaurant” mediations can find many areas of common before the clients enter the picture. Indeed, many of those meetings can create the foundation for the mediated settlement. In the end, as my grandfather used to always say, sharing food and breaking bread together can create bonds and mend fences.